What could help me to further my career? What skills do I already have? The answer, I felt, was staring me in the face. The use of looping technologies has always interested me. The first time I saw an artist use a loop station was KT Tunstall, performing live on ‘Later’ in 2004. 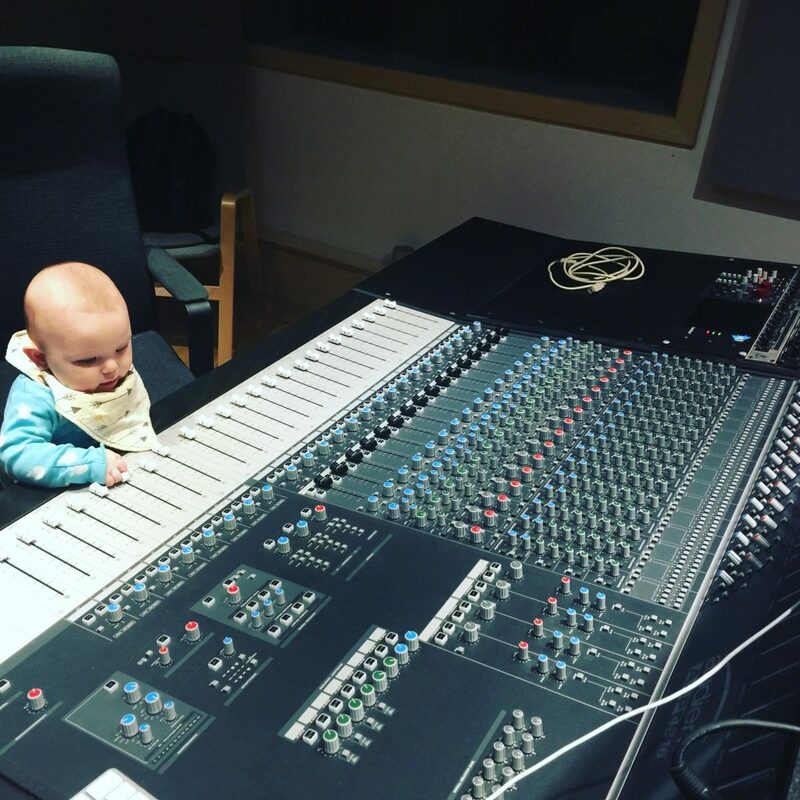 I bought the same pedal as her (Akai Headrush E2) which, at the time was state of the art, and my looping career was born. Though I have always looped, and have earned a reputation as a looping artist, I know that I have never fully delved into the potential complexities of looping and have never applied any additional effects to my voice. I am feeling excited. This thesis, if approved, gives me scope for a Creative Honours Project; 50% practical, 50% written. With a love of performing, but too frequently crippled by nerves, the practical aspect could be a collection of live performances but captured within a studio setting to ensure I perform at my best. I can create an artifact to publish and improve my skillset at the same time. Writing songs seems to be an intrinsic part of my nature, and the production element of recording my music is hugely satisfying; as in a studio I can layer and combine the multiple vocal patterns and harmonies that I can hear in my head. 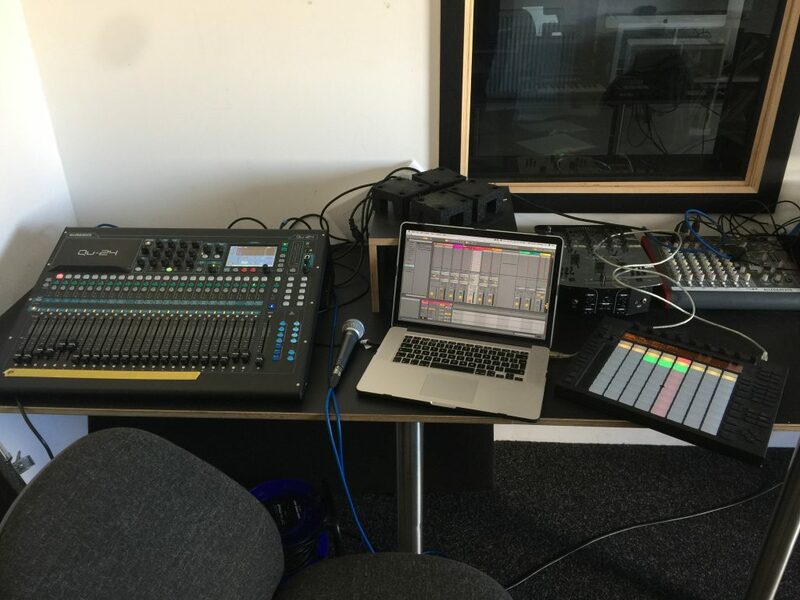 Learning to comprehend the full functionality of a loop station can allow me to bring those elements, previously only attainable in the studio, into a live performance. The written aspect of this study will help me to develop a thorough understanding of the looping technology that artists are using. Learning about the key looping concepts, the types of effects and processes that can be applied to the voice, and why musicians are choosing to utilise these technologies (i.e. the impact they are having) will assist me in developing as an artist and performer, while helping me to refine my musical style. After searching for scholarly articles related to my study, I discovered Diane Hughes, Associate Professor of Vocals and Music at Macquarie University in Sydney. It is apparent that she has written and contributed to a vast number of articles on vocal artistry, performance, and technology. She has some fascinating work, and I am currently reading the journal article “Looping vocals and applied effects in contemporary vocal studies“, which she co-wrote with Veronica Monro. I am delighted to have found her work as it is extremely relevant to my thesis and contains an abundance of useful references. This week has also consisted of reading reviews and product information on the different looping hardware and software that is available, to try and make the decision as to which would be the right choice for me. I am finding it all rather confusing at this point and am feeling a little overwhelmed with information. Each person I talk to seems to have a different opinion as to what technology I should be using. The research I have gathered so for has all be relevant though I have not yet been able to organise my notes to draw any useful conclusions. I feel like it would be beneficial to clarify what questions I need to answer to improve my focus and productivity. Why was technology first applied to the voice? How do microphones work and how do their different characteristics affect the voice? What is the best microphone for a live vocal performance? What are the keep looping concepts and practices? Who are the leading looping artists? What effects can be applied to the voice to enhance performance? To further assist with the planning of the written aspect of this project, I have also drawn up chapter headings which will help me to focus on one section at a time. This week I received the go-ahead for my Honours Project, and the feedback from the proposal was encouraging. 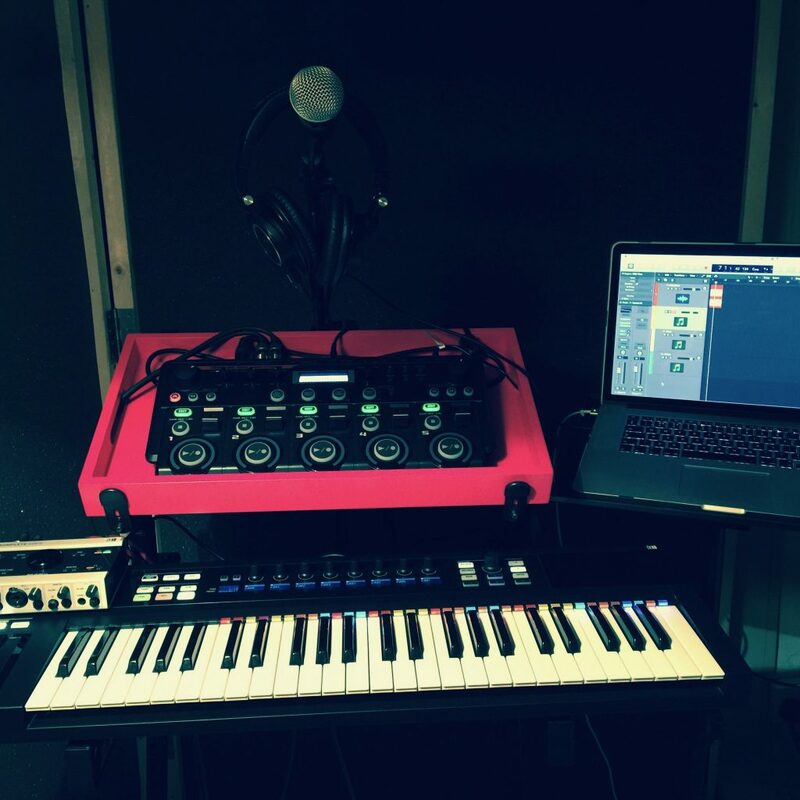 To progress with the practical aspect, I made the decision to use hardware looping technology and after watching live performances from Dub FX, Nastya Maslova and ThePetebox, I settled on the BOSS RC-300 and BOSS RC-505. It will be important to spend a lot of time breaking down my compositions, so I can devise an effective musical arrangement that maximises looping potential. I received a copy of a BBC Radio 4 programme from a friend, in which vocal performances in pre-historic times are examined. The discussion inspired me to investigate acoustic archaeology further, and I found evidence that amplification of the human voice was a consideration, even in per-historic times. Early amplification will be an excellent introduction to my essay, so I have chosen to continue working on chapter one. Research for chapter one has lead to learning about different microphone properties and how they affect the translation of the voice. After recording my vocals through a Neuman U87 microphone at a local recording studio, and listening back to them with zero processing, it was clear that I have a chest quality when singing in an alto range, and some nasal qualities when singing soprano. This new knowledge, coupled with understanding the differing microphone characteristics, was responsible for a real light-bulb moment. The Shure SM58, which has always been my live performance mic of choice, accentuates my undesirable vocal qualities. After some additional research, I chose to acquire a Shure SM7B and a Shure Beta 58a for my future performances. After completing the draft for chapter one, I aimed my attention on the second part of my written assignment to investigate the essential looping techniques and practices. Combining research from academic journals and articles, with material sourced from the internet helped me to assimilate a list of fundamental considerations for looping practitioners. Rehearsing and attempting to put these concepts into practice within my performances has indeed been an intimidating task at times; specifically trying to remember the planned structure of an arrangement and what actions to take and when. Not to be deterred by a steep learning curve, I have persevered, and am aware that my skills with a loop station are developing. Artists not yet mentioned that are inspiring my practice are; Kimbra, Ed Sheeran, Beardyman and Imogen Heap. Juggling a newborn baby with the workload of a degree, the home life with three other children to consider and obtaining enough sleep is proving a mighty challenge. I have a live performance coming up next week which is giving me the opportunity to try out a version of my new tech setup. The majority of my time this week is being spent rehearsing; performing one song over and over until I can perform it repeatedly with no mistakes. The aspect I am still finding most challenging is remembering which buttons to press, which parameters to change, and when, coupled with getting my timing perfect. At the end of this week, I performed with a BOSS RC-505 loop station as part of the International Women’s Day Cabaret at The Acorn, Penzance. The performance went reasonably well; rehearsals with the technology paid off. The performance did, however, help me to realise how little control I have over the sound when performing live to an audience. The sound quality was excellent, due to Steve, the fabulous sound tech at the Acorn, but when looping, it is very easy for feedback to occur. Therefore stage monitors need to be kept at a low volume which resulted in not being able to hear my performance accurately. Being able to listen carefully is paramount when looping, as one is building upon a foundation which needs to be kept in time with. For my practical project, I will not be performing to an audience so will not need loud speakers. This way, I can closely monitor my performance through headphones and eliminate any chances of feedback occurring. Many of the artists I have been researching apply effects and processes to their vocals for a variety of reasons, exploration of my looping technology has helped me to better understand the effects available to me. Creating a high-quality sound is important and as such I will using an Allen & Heath QU-16 mixing console to have greater control over the processing of audio. I feel that I have now gathered enough research to complete both chapters two and three of the written work. Reading about looping and then immediately applying the new knowledge to my practical element is also an excellent method of working for me. I am on track to complete the main body of the essay withing the next two weeks and will then be free to focus on the practical work, before completing the abstract, introduction and conclusion. After an Easter holiday with my family to recharge my mind, this week I have completed the written component of the Honours Project and am now working on the practical element and am enjoying putting all of the techniques and skills that I have been learning about over the last few months to use. With all work completed and the hand in deadline approaching (28th), all I have left to do now is package my project for submission. I am very proud of my achievements, and as an end note, I feel I have accomplished much regarding understanding looping technologies and concepts and applying these concepts to musical works. I will continue to work on my development as a looping practitioner and hope to inspire and teach others how to incorporate these technologies into their performances.